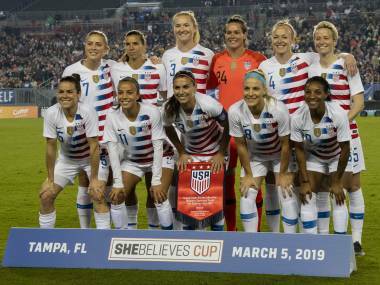 The US women's national team filed a discrimination lawsuit against the Soccer Federation, just three months before defending their World Cup title. 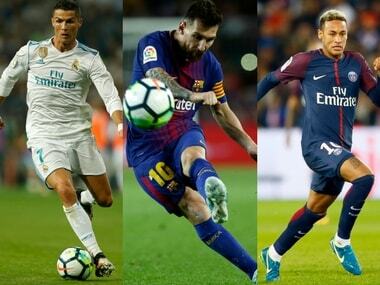 Neymar was named alongside Cristiano Ronaldo and Lionel Messi on the three-man shortlist for the Best FIFA Men's Player Award, which was announced in London on Friday. United States kept their quest for fourth straight women's football gold firmly on track when captain Carli Lloyd ensured a 1-0 victory over France to qualify for the quarter-finals. It is unfair to compare a Messi to a Yaya Toure, or Thibaut Coutois to Neymar. Let Yaya battle it out with Paul Pogba, let Thiago Silva fight Raphael Varane and Dani Alves, and let Courtois go up against Neuer and de Gea. #Barcelona #Lionel Messi #InMyOpinion #FIFA #KickingAround #SportsTracker #Ronaldo #Luis Enrique #Shareworthy #Carli Lloyd #Jill Ellis. 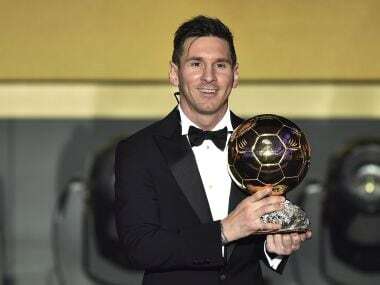 Lionel Messi won the Ballon d'Or trophy on Monday as the world's best player in 2015, ending Cristiano Ronaldo's two-year hold on soccer's top individual honor. #Barcelona #Lionel Messi #FIFA #SportsTracker #Ronaldo #Luis Enrique #Shareworthy #Carli Lloyd #Jill Ellis. Carli Lloyd became the first woman to score a hattrick in a World Cup final as she inspired the United States to a 5-2 demolition of defending champions Japan on Sunday. 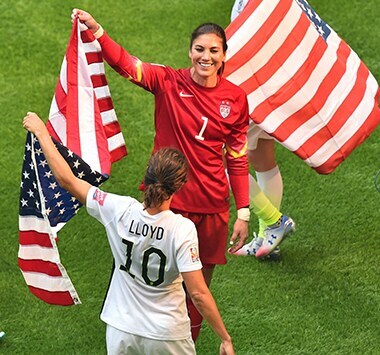 Carli Lloyd remembers putting the ball on its spot and shutting out the noise of more than 51,000 anxious fans.